Home » What to Read Next? I have a ten year old nearly finished the ‘Alice Miranda’ series, and I’m keen for a good series for Christmas and the summer holidays. I’m glad you asked for some suggestions as this is my favourite reading age and stage! A series is a great idea for the holidays as it gives children a chance to fully immerse themselves in the world of the characters. I’ve listed below all the books in sets that I love and that the 9-12 year olds in my library love. I’d also direct you to read all my ‘Girl Zone Book Club’ posts here as these are books for mature 10/11 year old readers and some of them are just MAGICAL. To purchase any of these books, click on title links. ‘Smile’ and ‘Sisters’ – okay these are GOLD for 9-14 year olds…you can purchase singularly by clicking on title links, or as a set here. They are actually graphic novels (and you can read more about them in this post here) and again, they are never in the library, in fact the lovely Mrs Morris just asked me to purchase multiple copies of them, such are the meltdowns over ‘when will Smile or Sisters be baaaaaaaack’. They are gorgeous, clever, sassy and oh my glory…the same illustrator has done graphic novel versions of ‘The Babysitters Club’. I was NOT ALLOWED TO READ ‘The Babysitters Club’ as a 10 year old and all I wanted in life was to own the set. It didn’t happen for me. Nor did a Cabbage Patch Doll. Or a bubble skirt. I was a very hard done by child of the 80s…. Look, let’s get this one out of the way – if your 10 year old has not yet read ‘Harry Potter’ then this is the PERFECT series to keep a child entertained the entire Christmas holidays. This set here is my personal favourite, but whichever set you purchase, your book set must all match…please no mixing of cover editions! Not that I am at all OCD about this. 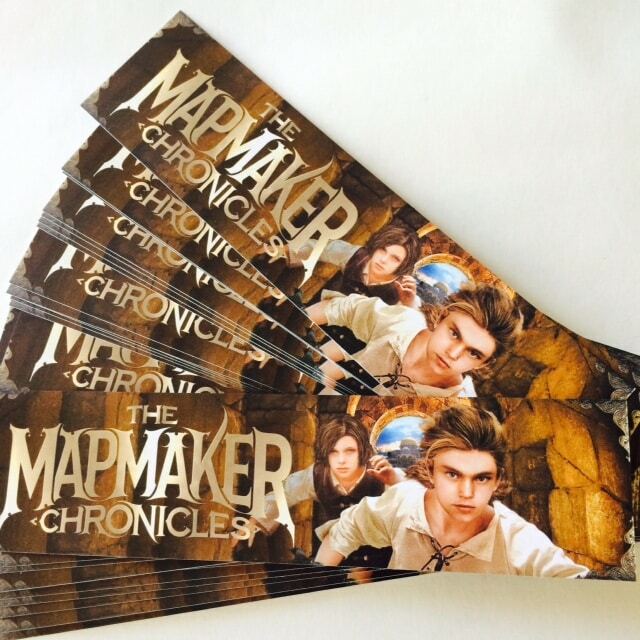 ‘The Mapmaker Chronicles’ by A.L. Tait (interview here) has just had it’s final installment published and I’m attempting to finish my review (glowing) of it, but emails from blog readers (ha!) keep sidetracking me. This has been my favourite adventure/fantasy series for 2015 and has been used in many a Readers’ Cup competition around the country – with very good reason. The series centers on a race to map the entire world and I would compare it in adventure, perfect writing and pace to ‘Rangers Apprentice’ and any of the Emily Rodda fantasy books – it is that good. First in the series is ‘Race to the End of the World’, the second installment is ‘Prisoner of the Black Hawk’ and the final in the series is ‘Breath of the Dragon’ or you can buy all three for $38.25 here. Get on it. Seeing as I mentioned Emily Rodda, let me slip in here ‘The Star of Deltora’ series – which is truly magnificent. Full review here by Joy Lawn. There are two so far in the series; ‘Shadows of the Master’ and ‘Two Moons’ or you can buy both for $21.10 here. ‘Smooch and Rose’, ‘Spud and Charli’ and ‘Mister Cassorwary’ by Samantha Wheeler are the most beautiful stories for young readers who are interested in animals, the environment and activism. 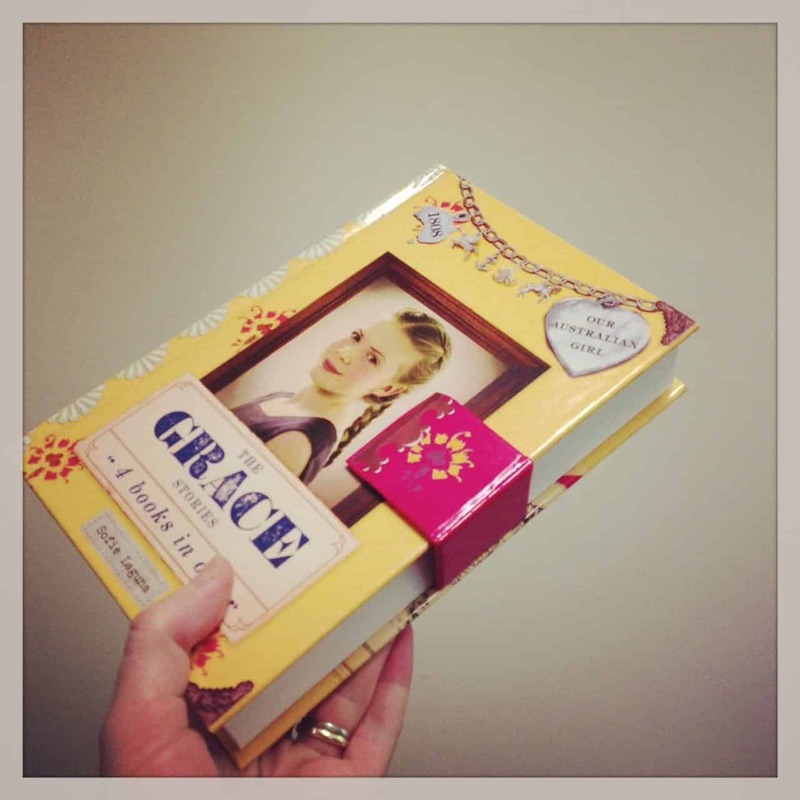 I’ve just loved these books and have gifted them to so many 9-10 year olds in my life! My full review of ‘Smooch and Rose’ can be seen here, and my interview with Samantha can be seen here. Not a boxed set yet, but the N.J. Gemmell ‘The Caddy Kids’ series are pretty fab – you can read more about N.J.Gemmell (and perhaps why she uses N.J. Gemmell on her children’s books!) here. ‘The Kensington Reptilarium’, ‘The Icicle Illuminarium’ and ‘The Luna Laboratorium’ are gloriously loud, chaotic, ridiculous adventures which take place in drizzly London, the gorgeous Sydney Harbour and the Australian bush and Gemmell is a very accomplished writer. The gorgeous, wonderful ‘Our Australian Girls’ series now have some of the series as very hefty bind ups, with the most beautiful magnetic clasps; ‘The Grace Stories’, ‘The Alice Stories’ and ‘The Letty Stories’. Oh how I love them! Four books in one large bind up, these are perfect for gift giving and perfect for bringing Australian history to life through the eyes of young girls. My rave about this series is here. Staying with history, Belinda Murrell has a set of history books which are favourites every.single.year in Year Six Girl Zone Book Club. These ones are more for a 10-13 audience, and mothers and grandmothers! My own grandmother has read and adored each and every one of these; ‘The Forgotten Peal’, ‘The Sequin Star’ and ‘The River Charm’. 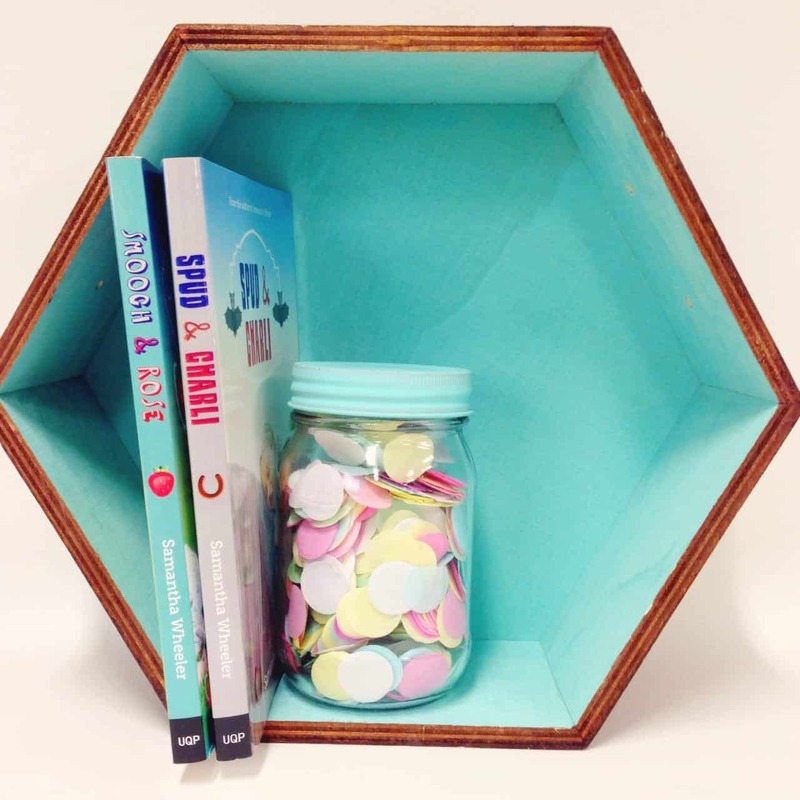 The three of these together would make a stunning gift for a keen reader – the design of them all is just gorgeous. 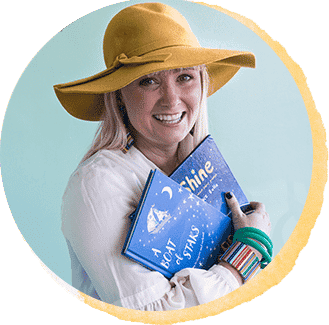 Belinda Murrell is prolific (see here also for Lulu Bell for younger readers!) and she has another fabulous history series, this time timeslip novels. These are squarely aimed at 9-12 year old readers and again, my grandmother has read and enjoyed all these! In the series is ‘The Locket of Dreams’, ‘The Ivory Rose’ and ‘The Ruby Talisman’. Let’s stay with history for a little longer while I rave about Jackie French and Pamela Rushby. Between Belinda Murrell, Jackie French and Pamela Rushy (click on each author name for my interviews with them) history for young readers is well-covered indeed – these three women are my go-to authors for all young history buffs. Pamela’s works of history for this age group are ‘The Horses Didn’t Come Home’, ‘The Ratcatcher’s Daughter’ (full review here) and the gorgeous new one, ‘Sing a Rebel Song’, which I read until the wee hours on Sunday night. 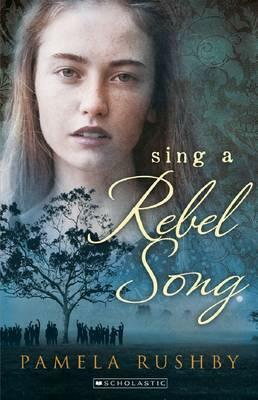 ‘Sing a Rebel Song’ is set in 1891 during the Shearer’ Strikes. 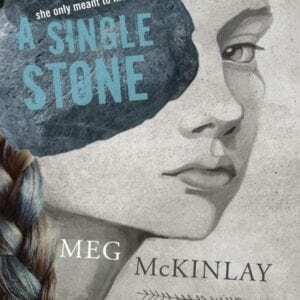 Told from the point of view of Maggie, this is a fabulous introduction to the conflict between the union, the pastoralists and the government and is set in Barcaldine. Thank you Pamela Rushby for bringing this this period in Australian history to life with utterly engaging and sophisticated writing. For slightly older readers’ from 11-15 years is the Jackie French history series, ‘The Matilda Saga’…and I just saw that you can buy all five books here for $84.95…which, okay, is an investment, but seriously if you have a history buff…this would be six weeks of holiday reading sorted in one purchase and that is actually only $16 per book…I think? My maths is horrid. This series is utterly engrossing and I’ve had a meltdown each time I’ve finished one and had to wait for Jackie to write the next – fortunately the woman is prolific. I feel so full of joy for those readers who have not yet read this series and can read them all in one loooooong sitting – I almost think I should read them all over again from start to finish. Singularly they are ‘A Watlz for Matilda’, ‘The Girl From Snowy River’, ‘The Road to Gundagai’, ‘To Love a Sunburnt Country’ and ‘The Ghost by the Billabong’. David Walliams – he is the new Roald Dahl in my humble opinion. 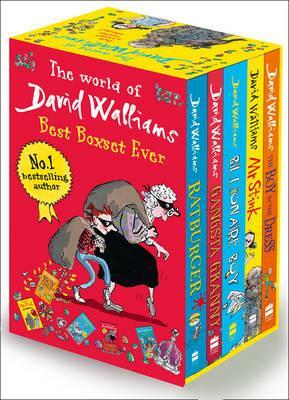 You can read more about Walliams and more about each title in my post here…but I doubt very much that any child (or adult) for that matter will not enjoy each and every one of the books in this box set – six book for $48.50. ‘Friday Barnes’ oh how I love thee. R.A. Spratt has given us an extremely plucky little character in girl detective Friday Barnes. She’s basically an 11 year old Sherlock Holmes. Gorgeous covers on this series too – of COURSE we all judge books by their covers – don’t even bother arguing this with me, I’ll win every time. The fourth one in the series is out in early January, so a set of three for Christmas and then the fourth as a bribe to get through until school starts sounds perfect to me! If you yourself love Jonathan Creek – then I have the kid version of this! The ‘Phyllis Wong’ series is magic – quite literally. You can read my full review of this series here and see/purchase all the titles in this series here. 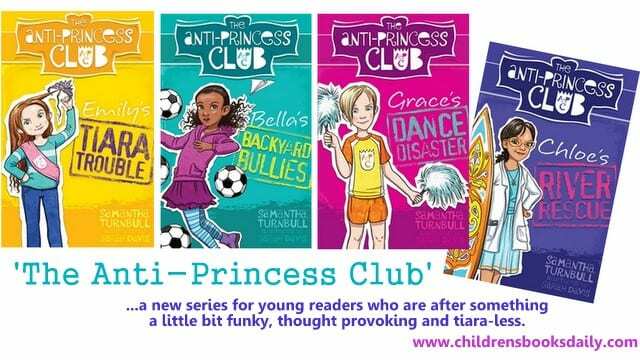 ‘The Anti-Princess Club’ series by Samantha Turnbull, who you can read about here, was my gift for every little 9/10 year old girl this year and the fifth one in the series is just out and has lots of holiday activity ideas – watch out nieces, it’s coming your way. I want nothing more for my nieces, my female students at school and my daughters than to read books with STRONG female characters. Girls they can relate to, girls they can aspire to be like, girls just like them – lots of pluck and a ‘we don’t need rescuing’ attitude. Love these ones. So much. If you’re after a non-fiction set for girls about to enter the world of High School, I cannot recommend highly enough the ‘Find Your Tribe’(and 9 other things I wish I’d known in high school)’ book by Rebecca Sparrow…and then you can give them (when ready) ‘Find Your Feet (the 8 things I wish I’d known before I left high school)’ and ‘Ask Me Anything (heartfelt answers to 65 anonymous questions from teenage girls)‘. How I wish I had these books when I was younger – the wisdom, truth, insight and humour in these three books is something all teenage girls need more of – well done indeed Rebecca Sparrow. 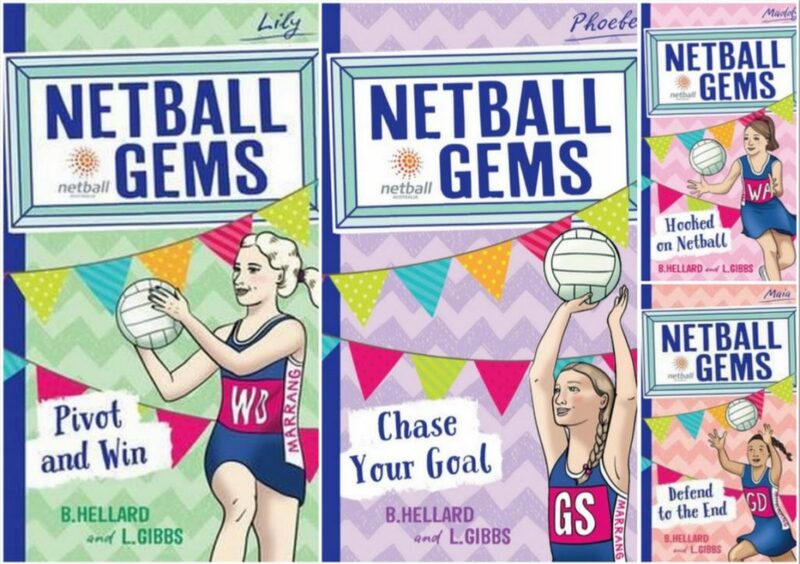 The ‘Netball Gems’ series has blown me away and it was well and truly time we had a netball series to balance out all the rugby series in the library! You can get the full set of four for $43.00 as a gift here. You can read my full review of ‘Netball Gems’ here. Similarly, the ‘Silver Shoes’ Academy series by Samantha-Ellen Bound explores all forms of dance, with a side serve of friendship and character building. Full review of this series is here and you can see/purchase all the titles in this series here – for 8-11 year olds. Hope this helps! What else would you suggest to Melissa? What a great list! Of the ones I’ve read, I couldn’t agree more, and some I will now have to read. Speaking of young, female Sherlock Holmes characters, I really enjoyed reading the Lady Grace Mysteries, set in 1569 and 1570 in the court of Queen Elizabeth I. And a stand out series with a strong female leading character is Elizabeth Honey’s Stella Street series, pitched at 10-14 year olds. 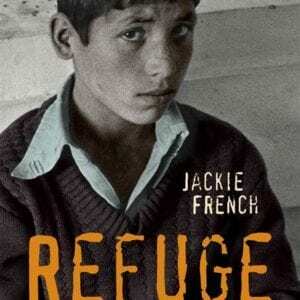 Fantastic books that I’d love to see re-issued with new covers. Because yes, everyone does judge a book by its cover. Oh yes I LOVE the Lady Grace Mysteries!!!! OMG YES ALSO!!! 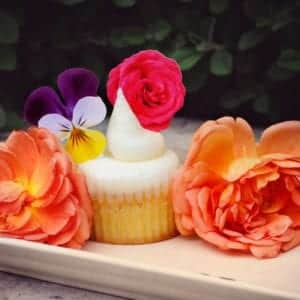 LOVED STELLA STREET! Oh you have MADE MY DAY! Thank you SO much!